THE CHIEF EXECUTIVES' CLUB AT QUEEN'S – OPEN FOR BUSINESSES! As the Chief Executives’ Club (CEC) at Queen’s continues to serve as a focus for local business, and with a busy autumn 2018 programme already lined up, there couldn’t be a better time to join Northern Ireland’s top business membership organisation. Offering high-level networking, access to national and international thought leaders and guest speakers, the Chief Executives’ Club is a key forum for business debate in Northern Ireland. Current membership includes leaders from a wide range of businesses, private, public, charity and social enterprise organisations, along with successful entrepreneurs and representatives from higher education. 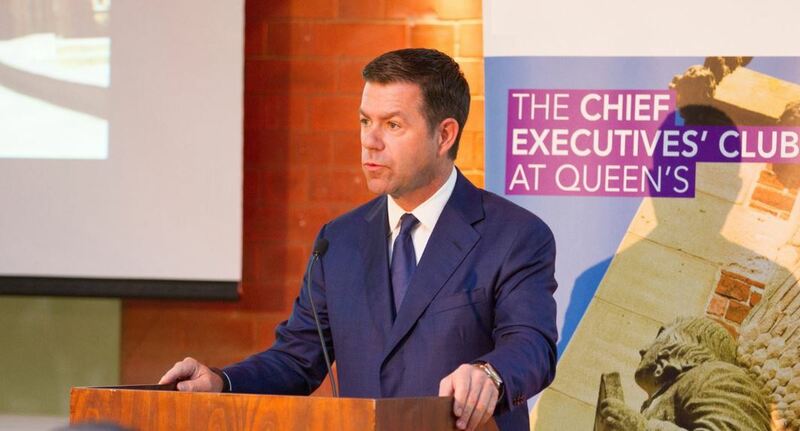 Speaking about the Club, Robbie McGreer, Business Engagement Officer said: “The Chief Executives’ Club at Queen’s is a really dynamic and prestigious medium that facilitates and supports high-level networking in Northern Ireland. “It was established to strengthen links between higher education and the business community, and has been a valuable business network here for over 25 years. The Club hosts a range of high-calibre events throughout the academic year, normally chaired by the University’s Vice-Chancellor, or by a Pro-Vice-Chancellor and usually at Riddel Hall, in the Great Hall in the Lanyon Building or elsewhere on the main University site. Membership is open to those at Chief Executive, Managing Director, Chairperson and/or Senior Directors of any organisation, and is available on an individual basis to Private Business Members at £185 annually and Voluntary / Third Sector Members at £120 annually. As Robbie McGreer explains, membership offers the perfect way to keep up with all the local, national and international changes going on in the business world and for connecting with the University. “Membership of the Club offers businesses the chance to keep abreast of change and to participate in discussions on topical business issues. To explore membership or for further information, please contact Robbie McGreer, Business Engagement Officer; tel: +44 (0)28 9097 5188 or visit the Chief Executives’ Club at Queen’s website.